The local student accommodation market has a new provider as Blue Sky Private Real Estate and joint venture partner Goldman Sachs ramp up their Melbourne presence. Months after being formed, Atira Student Living has hit the ground running in Melbourne. Already active across the Brisbane market, Atira is planning a further 4,600 beds split between Brisbane, Sydney, Melbourne and Adelaide. Of the 4,600 beds, a healthy proportion will be based in Melbourne. 42 La Trobe Street and 1 Flemington Road will be managed under the Atira banner. The former already has a Hickory tower crane onsite in order to deliver 783 beds across two buildings, with associated ground level retail and public uses. The tower will utilise the Hickory Building System with floor slabs, facades and Hickory’s Sync bathroom pod system manufactured offsite and subsequently trucked to 42-50 La Trobe Street for final assembly. 1 Flemington Road which is also addressed 245-249 Peel Street will be constructed by Hutchinson Builders. It was initially submitted at planning as a metal-clad tower holding 389 student beds. Both projects have been designed by Hayball. Rounding out the Atira Melbourne portfolio is 48-50 A’Beckett Street which has gone back to the drawing board after being picked up by Blue Sky Private Real Estate. Slated for a 2019 opening, the eventual student accommodation building will replace previous private apartment schemes for the narrow site. As Atira settles into Melbourne, various other projects are in development. 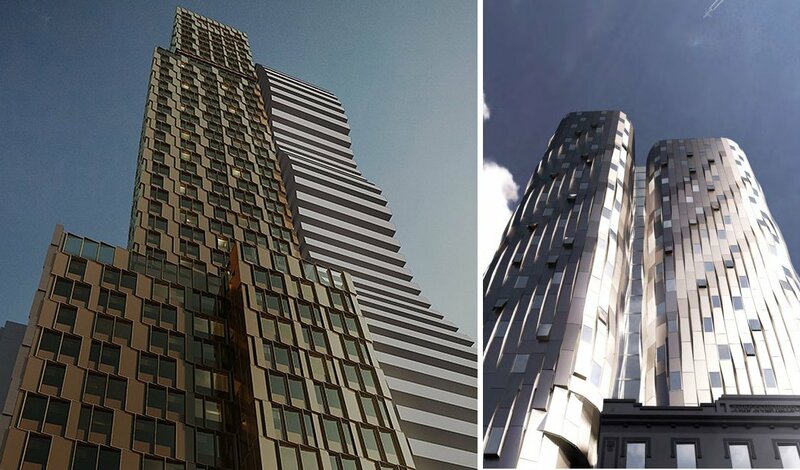 611-681 Elizabeth Street has been given the provisional nod from City of Melbourne planners. The multi-towered project includes 698 student accommodation apartments across two towers, broken down to 661 studios, 27 one bedroom apartments and 10 two bedroom apartments. 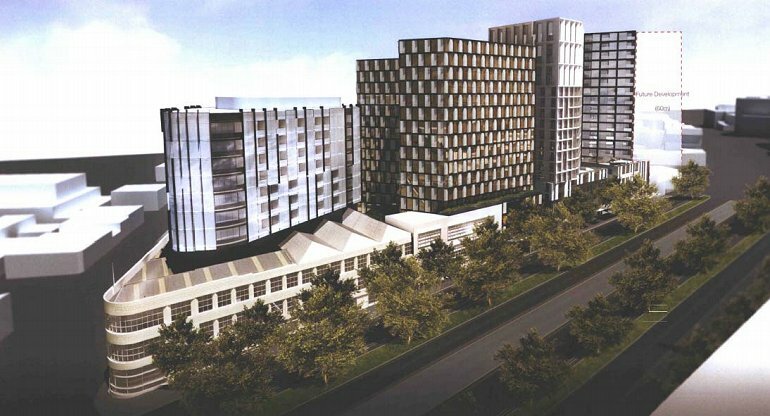 It remains to be seen whether new owner PDG Corporation will maintain the student accommodation aspect of the development. Early works on Redefine's 16-32 Leicester Street have begun, as a preview to construction commencing on the substantial student accommodation project whilst 123-135 Bouverie Street nearby is also subject to a new student accommodation application. These projects are in addition to the thousands of student beds currently under construction citywide. Probably the worst example of the built form I have see. It dies nothing to address the interface between old an new, is nothing but a sheer form extrusion. This could have been an exciting civic gateway to Melbourne, but the form of the building merely replicated the substandard muktires of the south side of the intersection than adding to create a thoroughfare of high standard.